When it comes to robots, it seems the trend is to make them as complicated as possible – look at anything from Boston Dynamics if you’ve any doubt of that. But there’s plenty to be said for simple robots too, such as this adorable ESP32-driven live-streaming bot. Now it’s true that [Max.K]’s creation is more remote controlled car than robot, and comparing it to one of the nightmare-fuelling creations of Boston Dynamics is perhaps unfair. But [Max.K]’s new project is itself a simplification and reimagining of his earlier, larger “ZeroBot“. As the name implies, ZeroBot was controlled by a Raspberry Pi Zero, an obvious choice for a mobile platform designed to stream FPV video. The ESP32 bot eschews the Pi platform in favor of, well, an ESP32. To save as much space as possible, [Max.K] did a custom PCB for the microcontroller and its supporting components. 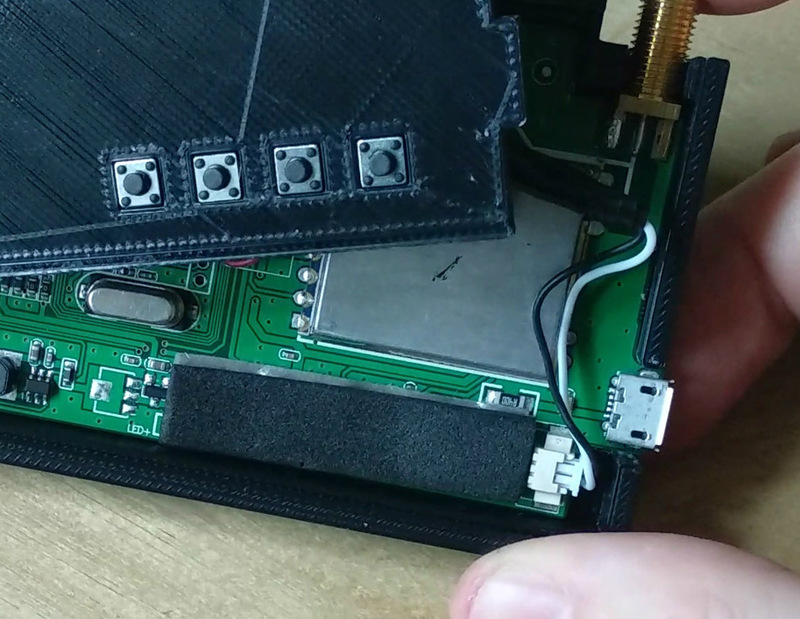 The 3D-printed case is nicely designed to hold the board along with two motors, a small VGA camera, and a battery pack. 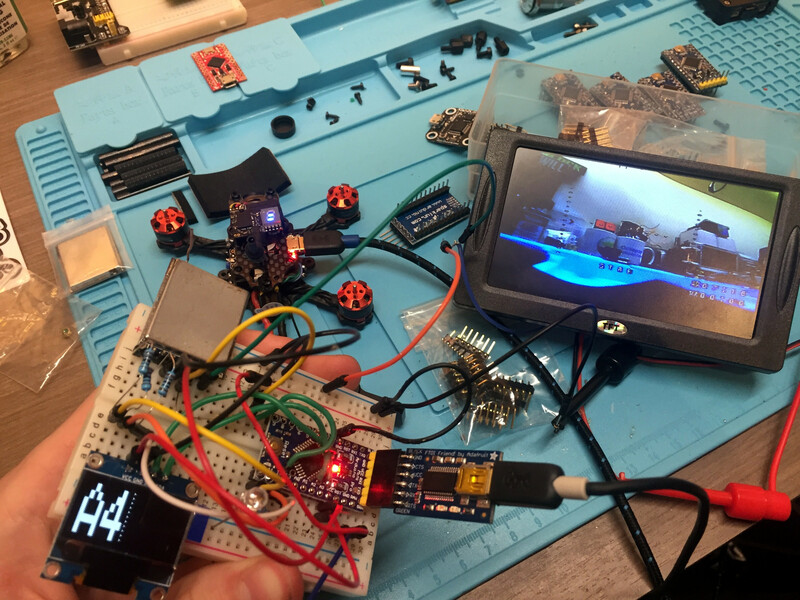 At 160×120 resolution, the video isn’t amazing, but the fact that it can be streamed from the ESP32 at a decent enough framerate to drive the bot using a simple web interface is impressive. This was a fun project and a very clean, smooth build. We like the lines of this little bot, and wouldn’t mind building one as a quick weekend project ourselves. If you’re doing remote controlled flight, odds are you’re also flying FPV. Or you at least have a camera on board. If you’re transmitting to the ground, you may have noticed the antenna on your plane has some weird radiation patterns; bank your plane to the left or right, and your signal gets worse. [Ant0003] over on Thingiverse has a great solution to this problem that’s small, lightweight, and will fit into just about any airframe. [Ant]’s flying a Mini Talon with FPV, and since planes turn slower than drones, and can fly much further than multicopters, the radiation pattern of the antenna is very important. In this case, [Ant] wants to keep the antenna perpendicular to the ground. This problem was solved with a cheap 9-gram servo and a few 3D printed parts that hold an SMA connector. One end of this wire goes to the video transmitter, and the antenna is screwed into the other end. A servo alone does not make the antenna point straight up. To do this, [Ant] needed to program his flight controller. He’s using iNav, and a few clicks of the mouse makes one servo channel do whatever the gyroscope isn’t doing. The results (video below) speak for themselves. It’s an antenna that always points straight up, which is exactly what this video transmitter needed. Today’s abomination is a truly horrifying human head quadcopter, which exists for literally no other reason than to freak people out. We love it. 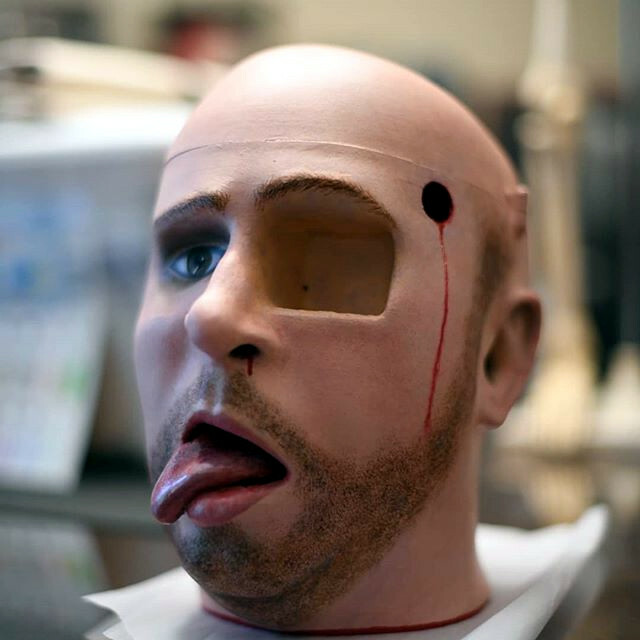 Created by [Josh] and a few friends, the “HeadOCopter” is built around a meticulously detailed 3D print of his own head. This thing is so purpose-built that they didn’t even put landing gear on it: there’s no point sitting on the ground when you’re in the business of terrorizing people from above. Sure, you could do this project with a cheap plastic skull. But there’s no way it would have the same effect. [Josh] created this monstrosity by scanning his own head with the Microsoft Kinect, cleaning the model up in ZBrush, adding in mounts for hardware, and 3D printing the result. After doing some smoothing and filling, the head got passed off to artist [Lisa Svingos] for the final painting. He even thought to include an FPV camera where one of his eyes should be, giving a whole new meaning to the term. As for the quadcopter hardware itself, it uses a BrainFPV RADIX flight controller (get it?) and 12×5 props on Sunnysky V3508 motors with 30A BLHELI ESCs. Measuring 1 meter (3.2 feet) from motor to motor, it’s an impressive piece of hardware itself; head or no head. This project reminds us of the flying ghost we saw years back, but we have to admit, this raises the bar pretty high. We’re almost afraid to see what comes next. Thanks to the exploding popularity of First Person View (FPV) RC flying over the last couple of years, the cost of the associated hardware has dropped rapidly. Today you can get entry-level FPV goggles for under $40 USD on various import sites. For the money you’re getting a 5.8 GHz receiver, battery, and an LCD display; even if the components themselves aren’t exactly high end, at that price it’s essentially an impulse buy. [nomand] didn’t necessarily have a use for a cheap FPV headset, but he did like the idea of having a pocket sized display that he could pass off to others so they could see what he’s seeing during flights. So he harvested the principle components from a Eachine VR006 headset and designed a new 3D printed enclosure for them. The final result looks fantastic, and is much cheaper than commercial alternatives on the market. He’s created an exceptionally detailed step-by-step guide on how you can perform the conversion yourself in the project’s GitHub repository, and has also put together a video where he goes over the modification and discusses the end result. [nomand] clearly intends for this to be a project for others to duplicate instead of a one-off build, and given the price and final results, we wouldn’t be surprised if this conversion becomes popular in FPV circles. Perhaps the best part of this project is that it requires almost no modification of the original hardware; just soldering two wires because the original connector is too large. Otherwise just need to take the headset apart carefully, and transplant the components into the 3D-printed case [nomand] has meticulously designed. The case is so well designed it doesn’t even need any fasteners, it slides together and everything is held in with some strategically placed pieces of foam. Between this modification and the custom built spectator display we covered recently, it looks like there’s a clear demand for sub-$50 portable FPV monitors. Seems odd that no manufacture is trying to fill this niche so far.